Just like many of the other ruined cities that the Greeks have left there is a great variety of impressive structures (theatre, aqueduct, streets, baths, etc.) that make Phaselis worth visiting. However, what really makes the Phaselis Open Air Museum so special is the way that the magnificent surroundings seem to have absorbed the ruins back into the landscape. It’s the way the ruins stand among the green and brown of the pines and moss has covered the floor of the old baths. The way an aqueduct that once watered a city now stands in the trees on the edge of the beach with the sound of the wind and the waves having long replaced the city noise that had once been here. While there is some signage, it’s minimal which means less information but also more uninterrupted nature. While the museum site is actually quite large and full of ruins only the buildings near the main street that connects the northern and southern harbors have been excavated to any great extent. You can hike around on top of the acropolis but the bush is thick and hard to get through and there isn’t a great deal to see apart from a handful of ruined buildings sitting on the cliff sides. Also, you need to keep a close eye out for cisterns in the ground. If you fall in it can be a very long way to the bottom. That being said, climb up to the cliff top that looks over the southern harbor, the view from there is great! While the city was founded around 700 B.C. much of what there is to see today wasn’t built until the second century A.D. after a series of earthquakes brought widespread damage across the whole region. Though the city was once a regional power it fell into decline over a span of centuries before finally being abandoned during the era of the Seljuks sometime in the 12th or 13th century AD. As such, some of the lesser buildings, especially those scattered in the forest or on the hilltop, are the remains of a much later and less grand settlement. 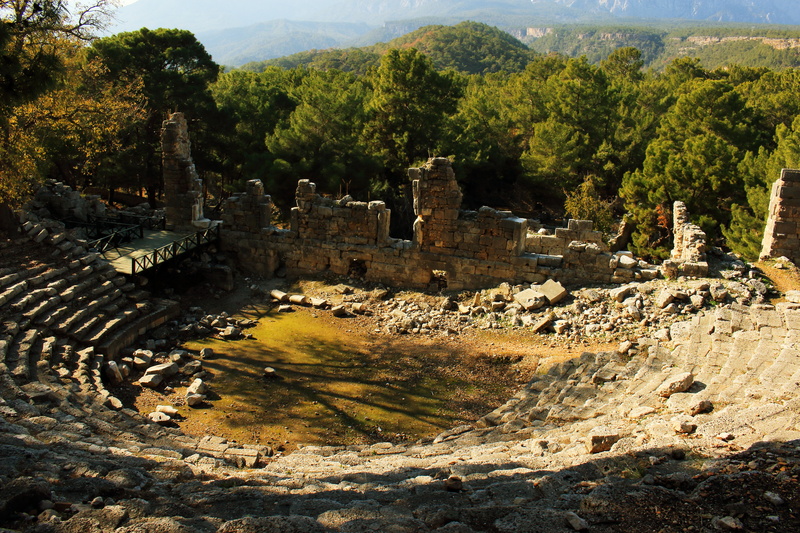 The theatre of Phaselis is an awesome example of how the Romans built upon Greek structures. The original backdrop of the amphitheatre would have been the beautiful mountains, forests and cliffs that we can see today from in the theatre whereas with the arrival of the Romans and their building techniques a new theatre was built with a much taller scaenae (the wall at the back of the stage). 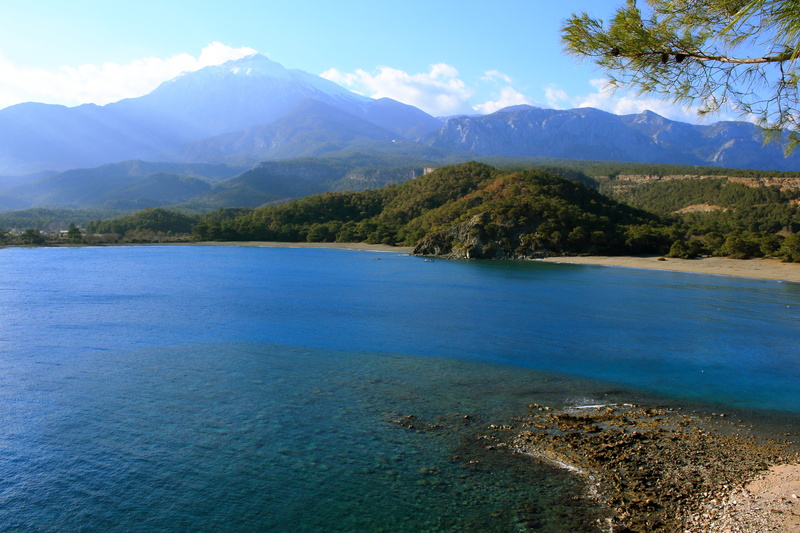 Phaselis sits on the Lycian Way’s coastal route and so it can be hiked to easily from surrounding towns (Tekirova in the south and Çamyuva in the north) along the marked trail. The site is about a kilometre or two off of the D-400, a regional highway with buses going by fairly frequently that you can flag down. Keep in mind that on Sundays it’s going to be hard to get a seat as people are heading back to work so try to avoid traveling like this especially on a Sunday evening. Some hotels will either arrange transport to sites like Phaselis or at least be able to advise you on how to best get around. Renting a car is reasonable from the city of Antalya and many hotels will also have cars available for rent. While I’ve never personally seen it, some boat tours will make a stop in at Phaselis. If you’re in a nearby town inquire anywhere you see boat tours being offered. 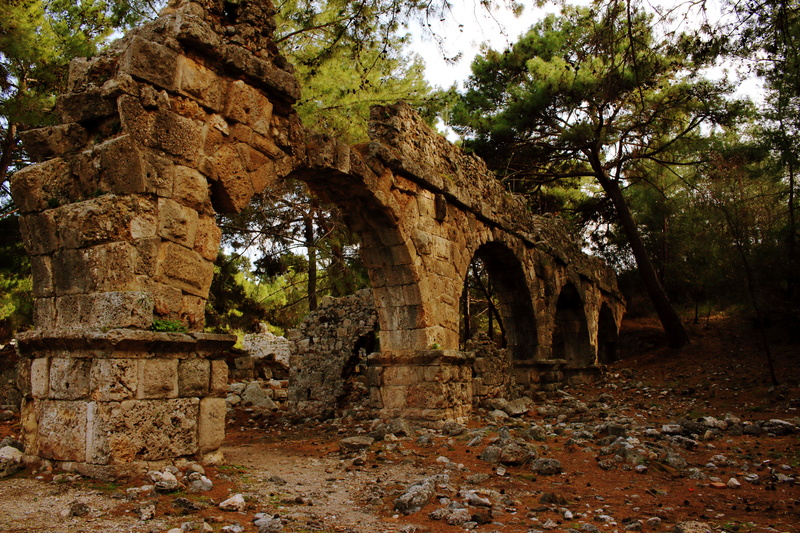 As the ruin is in Kemer there are endless options, everything from major resorts to small guest houses. However, with the exception of Sundance Camp (sundancecamp.com) there isn’t anything within a short walking distance. 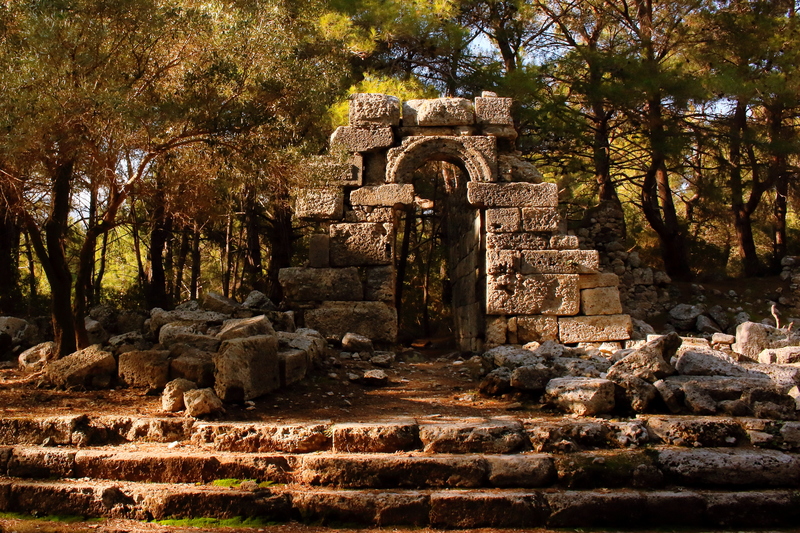 If you stay in Çamyuva or Tekirova, you can either arrange transport or go for a day hike along the well-marked trail to the ruins of Phaselis. The weather in Antalya is pretty good year round. The winters are cool and can be a bit rainy but certainly good enough to let you visit open air museums like Phaselis. If you come in the off-season you may get to see this amazing place without the crowds which really completes the package of nature, ruins, AND quiet.